Elaine Runyan-Simmons is the mother of Rachael Runyan, who was a beautiful 3-year-old little girl from Sunset, Utah. On August 26, 1982 Rachael was lured away by a stranger offering ice cream. 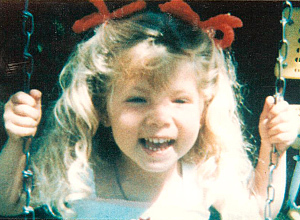 She was found three weeks later, bound and murdered. To this day the perpetrator has never been caught. As devastating as this tragedy was, Elaine channeled her grief into educating children and their parents on the dangers of abduction and crimes against children and youth. Elaine was one of the driving forces for the establishment of Missing Children of Utah, Inc., a not-for-profit organization. She was elected President of MCU in 1993, and held this position with great pride and commitment for several years. She has been actively involved in legislative issues that involve children, and has spoken statewide and nationally. Her story has appeared on Unsolved Mysteries, Today, Real People, Extra, Crime Solvers, America's Most Wanted, CNN-Freeman Report and Street Smart Video. 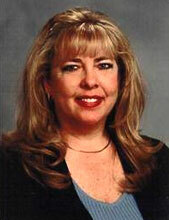 She has served on countless state commissions to combat child abuse, abduction and predatory crimes against children. Elaine has been actively involved in the implementation of the AMBER Alert, which was formally the Rachael Runyan Alert since its inception in Utah prior to the federal law. In addition, Elaine has had her own State Farm Insurance Agency for the last 18 1/2 years. Most importantly, she is the proud mother of Justin and Nate and Mother-in-law to Justin’s wife, Shana. Spending time with her beautiful grandchildren is Elaine’s favorite pastime!